Are you sick of butternut squash yet? I hope not! 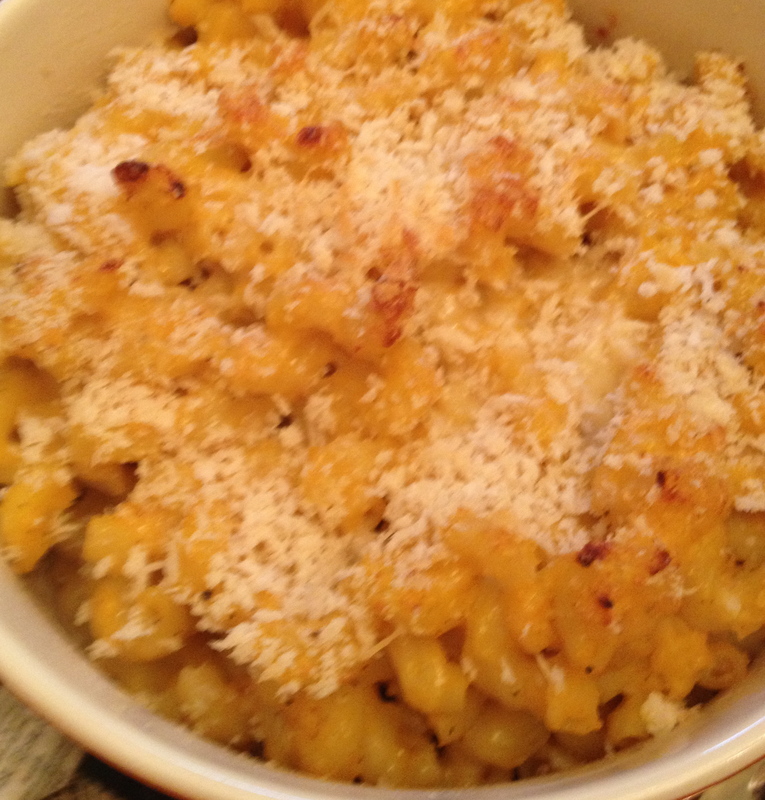 This week’s menu starts off with a Butternut Mac and Cheese that was delicious! I served it as a side dish for a family dinner and there wasn’t a bit left! While this was delicious, my favorite meal of the week was the one I just ate. 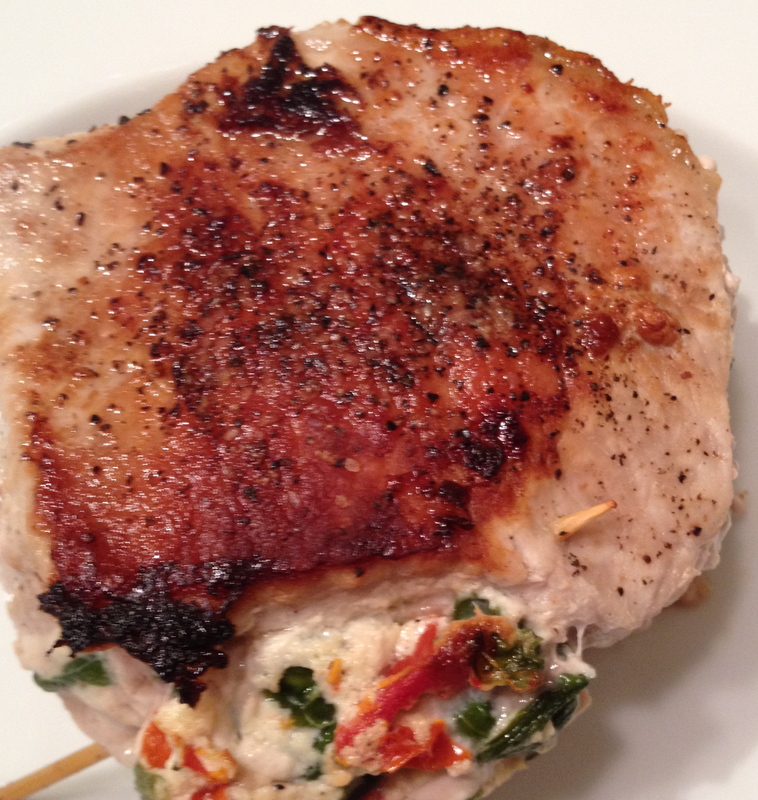 Pork chops stuffed with sundried tomatoes, spinach, and a goat cheese/ricotta mixture. I made the cheese mixture the night before (while I was heating up leftovers) and so the prep was literally five minutes before they were in the pan. My chops were really thick so I cooked them for about 6 minutes per side and then finished them off for about 15 minutes in the oven. Perfect! I have gotten a few requests for Thanksgiving recipes, so first up are: Crispy Oven Roasted Brussel Sprouts, and Broccoli Bake.